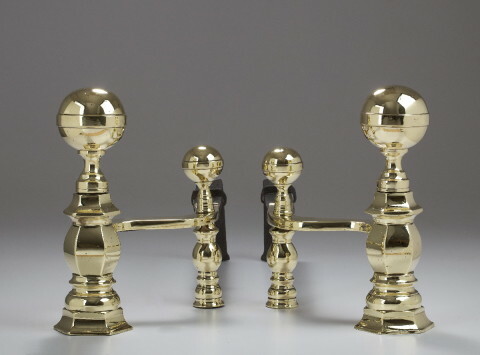 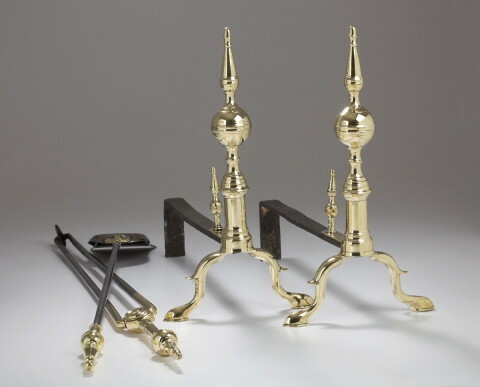 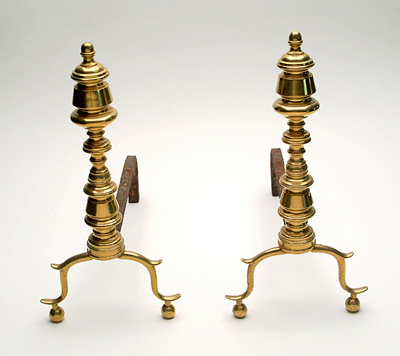 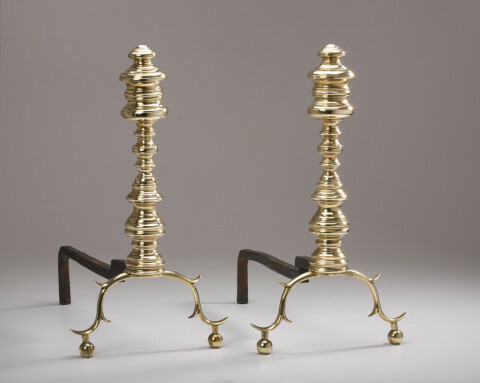 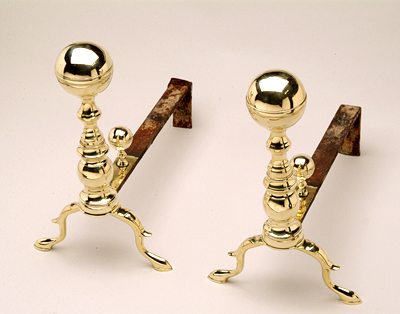 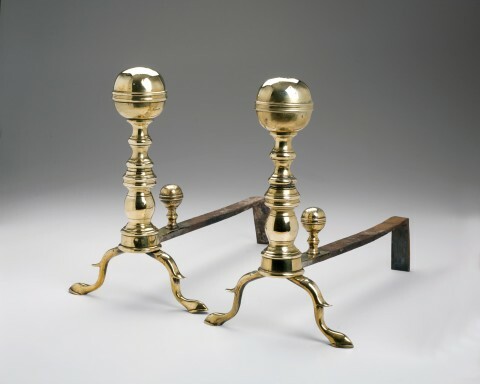 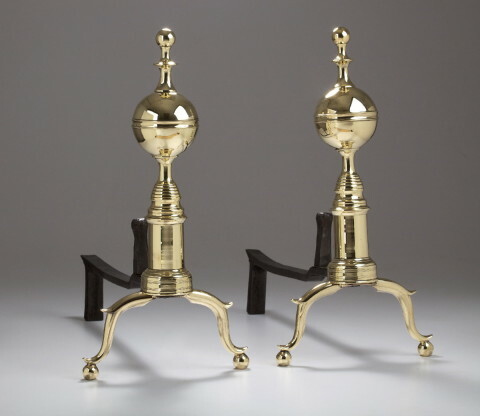 Antique brass andirons enhance the look of your fireplace. 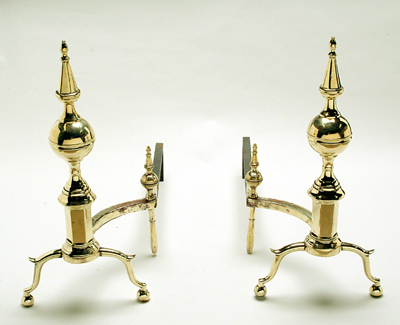 Not only do fireplace andirons become a focal point in your room but they set the design tone. 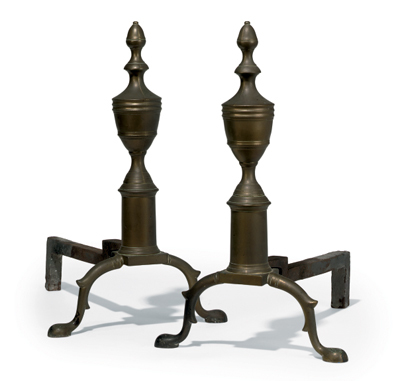 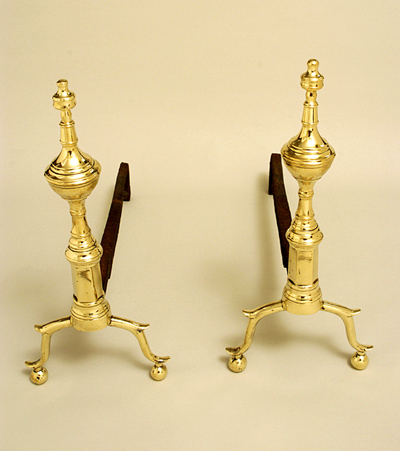 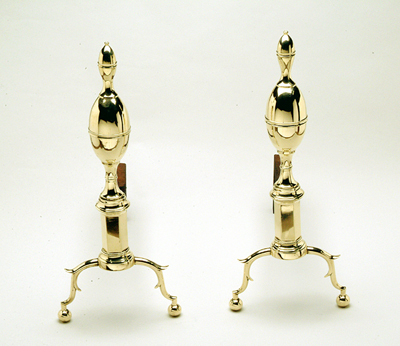 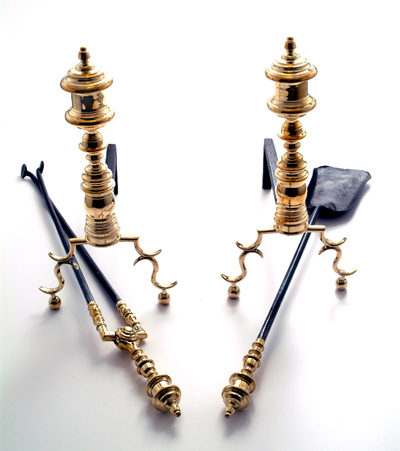 The antique andirons that we stock are mostly American with the occasional fantastic pair of European andirons.